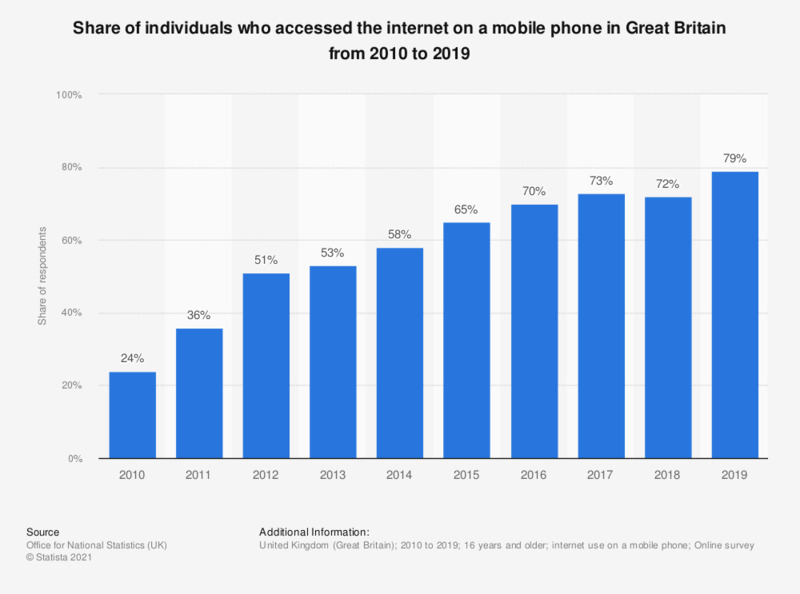 This statistic displays a timeline of mobile internet penetration and use in Great Britain from 2010 to 2018. Of respondents in 2018, 72 percent accessed the internet on a mobile phone. Mobile internet penetration increased in the period under consideration, increasing from 24 percent in 2010. Data prior to 2017 published earlier by the source.